Rained all night. Brad leapt out of bed at 5.30 saying he was off filming, which I thought was particularly odd as he usually has a lie in when it rains. Needless to say, when I emerged at about 7 am after having done the usual battle of dressing the kids I found him at his edit station, hard at work. It is freezing and windy and we are all huddled in the office tent doing our respective work. This carried on for most of the day. 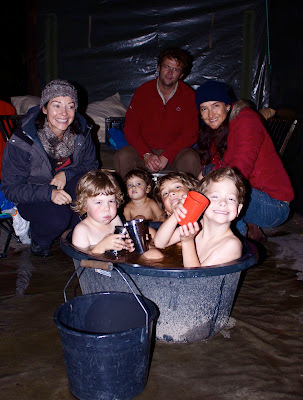 That night we had to bath the kids in the ‘living room’ because it was so cold. 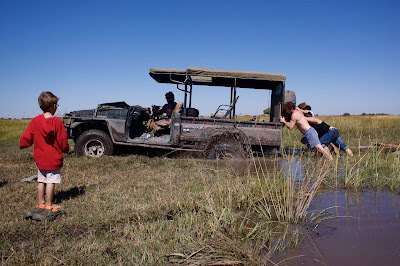 There was no question of not bathing them as they were all muddy from head to foot, like little warthogs and they hadn’t bathed the previous day due to the storm. 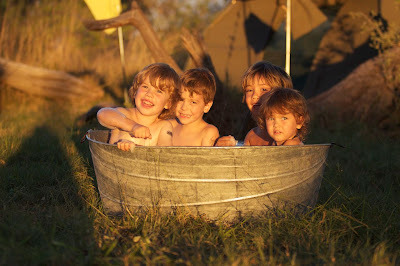 They loved the bath ‘indoors’ and there was much laughter and hilarity. 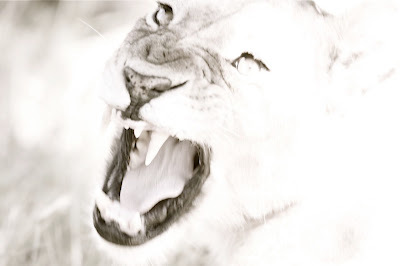 Last night the lions wreaked havoc in camp and terrified the majority of the crew. At precisely midnight the 5 lionesses announced their presence with a chorus of roaring, thereby ensuring that everyone in the camp was awake and listening. They then proceeded to pad around, occasionally rustling past a tent or sniffing audibly centimetres from ones head. The 5 sub-adults were not quite as considerate. This was far to good an opportunity to pass up, and while the lionesses were relatively well behaved, the youngsters spent their time investigating what there was to play with. 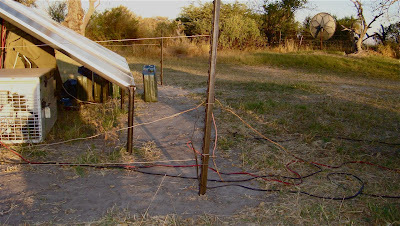 The first thing in their path was the power box for the electric fence, which sits under some solar panels. They spent a few minutes chewing this before deciding to make off with it, in the process ripping all the wiring out the ground and disabling the fence. In so doing, one of them got a shock, which persuaded them all to move on to the next thing. That thing was Graham and Penny’s tent. 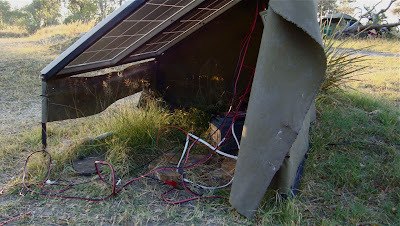 A loud bang indicated that they had knocked over the water bucket outside the tent after which they broke the perimeter fence around the office, store and living areas. Clearly they were having great fun. By now Keita was awake and in her fuzzy, 2 year old way, was trying to hum herself back to sleep. Every time she did this she got a sharp elbow in the ribs from either Brad or I. We were both very aware that the curious cubs would investigate this unusual sound. After 3 pokes in the ribs she looked like she was about to cry. Anyone who knows anything about lions knows that a crying baby (of any type) immediately attracts their attention and their predator instinct comes to the fore. We had no urge to pique the curiosity of the lionesses, nor the two large males who were invariably lurking somewhere on the periphery, but thankfully she fell asleep (with a pillow over her face) without creating a scene. After a while, loud roaring by the males indicated that they were moving off northwards, much to everyone’s relief. Finally everyone was able to settle down and get some sleep. 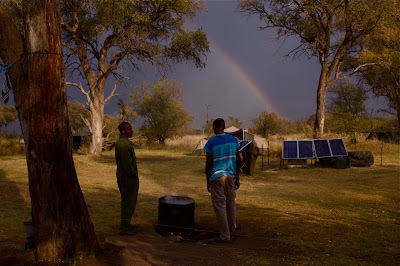 We went to Maun this weekend as a standard supply run and to get Ozzy to a vet. We felt that if there was something we could do to help him then we should do it now, rather than leave him to suffer for the rest of his life. The trip got off to a bad start when Rio was feeling very car-sick so we had to stop. A while later he threw up in the car and on himself. A while after that I realized that I had lost my bracelet when we stopped the first time, and we figured it was worth going back for it, which we did to no avail. After that Keita screamed for about 30 minutes and refused to go to sleep. Thankfully that was the end of the drama though and the trip actually panned out ok. We were expecting the worst because we were smuggling Ozzy out to take him to the vet, but he got through the gate and the vet fence undiscovered and he arrived in Maun not much the worse for wear. Rob the Vet diagnosed that he indeed had 2 broken legs, the left which had healed already and the right, which had broken in 2 places, he strapped. He also filed his beak. The logic is that perhaps if we keep filing it, it will grow back straight. This was quite upsetting for the little bird. No ants in the tent last night, thank goddess. Hopefully my patch will hold forever. I woke up to a fire in the tent last night, which was a little alarming. In the morning assessed the damage and found that there was a large hole in the carpet with lots of greasy wax and melted plastic over it. Got too busy to examine it further and it was only later in the day when Frannette casually sidled up to me and mentioned that there was a column on ants moving in that I steeled myself for a peek. Indeed the candle had burned through the carpet and through our only-3-week-old tent floor. We had purchased the tent because the floor of the old one had holes and we had an ant issue, so this was truly horrible news. R7000 down the tubes. I set about fixing it as best I could with a bit of canvass and contact adhesive, all the time muttering about how, if it wasn’t for me, Brad and the kids would probably be dead as he can sleep through a hurricane. Poor attempt to vindicate myself from having a lit candle in the tent in the first place. I feel like I haven’t seen Rio at all. He never comes into the office anymore and if I make a special effort I get to watch him talking to his friends at meal times. He is largely absent because he is very busy playing all day every day. He never stops. Even William and Edward make time in their days to play alone, but not Rio. He takes this opportunity to play with whoever is around, and as there are two of them, there is always somebody. Keita is one of the boys, and makes for a 4th person so the dynamic is better than if there were only 3. She is invariably the “baddie” or the monster which they need to run away from, or slay, but she takes it all in her stride. Humphry is also on a mission to eradicate every fly in our camp. 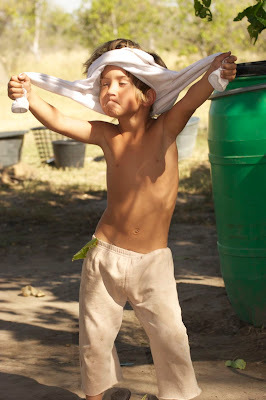 He spent the morning alternately wielding a fly swatter and helping create the buffer zone around the camp. He maintains he is having an effect on the fly population but we all know that it will only be a short time before the flies return en masse. Nevertheless he continues. Very tenaciously. I think a good clean will have a far better effect so plan to hand pricka the bleach and a brush and get him to clean all the surfaces this afternoon. Today is Frannette’s day off, so she is out filming with the crew. They stay out all day on principle so we don’t expect them back until after dark. Karen and I are holding the fort. Had an interesting session at school and decided that Wednesdays will be art days. Much easier. Then had a fight with Rio because he interrupted me putting Keita to sleep and woke her up after 40 minutes of trying. Then had a fight with Keita cos she wouldn’t go back to sleep so all in all felt like a crap mother. Slowly getting over it though. My 2 year old going on 10. 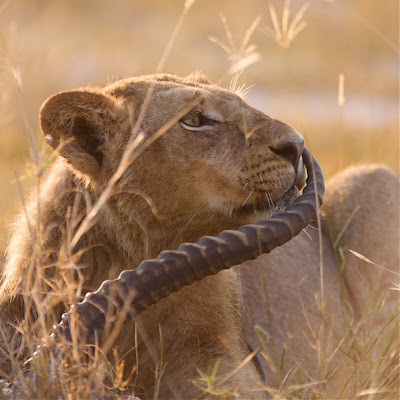 During the night the lions killed and ate one of our resident impalas about 100 m from our camp. Shame. They are practically tame. Frannette thinks it was Bernie, one of the two males in the herd. Frannette, Jason and Humphry went tearing off in the vehicle in response to the obvious sounds of feeding very close by at 7.30 pm. They found the lions, bloody and terrifying at the sign for the camp. They proceeded to roar close to camp all night which was exciting. 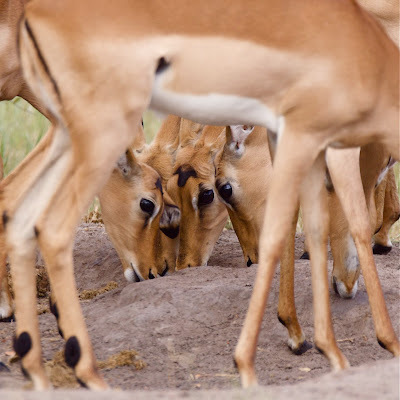 Had visions of Frannette cowering in her tent, because out there on the perimeter she happened to have the tent closest to the action, about 80 metres from where they ate the impala. Was my turn to head out with the film crew. Left early, before light. Rio was awake but was ok about staying behind because his friends are here and he would rather be in camp with them. Last night when I was putting him to sleep he said, “Mommy, I love my friends”. He is so happy with them here and I am beginning to dread them leaving. We are now taking turns begging Karen and Humphry to stay longer. The whole of June if possible. The lions killing the impala so close to camp must have had an effect on Humphry as he was galvanized into picking up a panga and cutting a 10 metre buffer zone around our camp where the vegetation was quite close to the fence. This was after spending much time day questioning me about animal (particularly lion) behaviour. He concluded that we are being blasé and doesn’t want to be in a position of having to learn from his mistakes. Neither do we. I notice that he has also taken to carrying a knife in his pocket. Clearly he is still dwelling on the topic of death. On this note, he may not be far wrong. Brad continues so smoke himself into oblivion and most of my nights are taken up with listening to him wheeze. Back from Maun uneventfully. As usual Maun was a mad run-around of meetings and stuff. 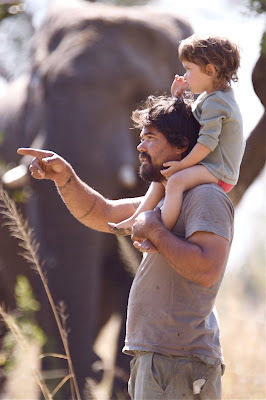 Think we did the deal with PJ on Buffalo Trails so we can get going soon on building and establishing a life. Now that it is happening of course I am beginning to dread getting into a mundane normal existence, although I know my perceptions currently are coloured by the fact that the Hamiltons are here, making life fabulous for all of us. 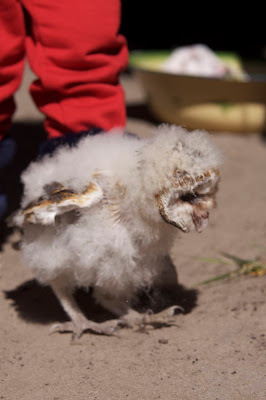 I keep having to remind myself how different it is when Rio doesn’t have company and I am sure that once they leave I will be happy that our move to Maun is imminent. Met up with Lesley McNutt in Maun. She had some interesting, encouraging things to say about raising kids in the bush. 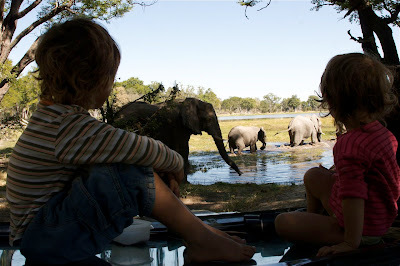 According to her, early childhood in the bush changes your perception of the world for life. Being the scientist that she is she claims it is scientifically proved fact that kids brought up in an environment where they actually use their senses and have the additional stimulation of exposure to the natural environment are better rounded, happier, better developed individuals. On another note, I am now becoming convinced that I am heading down the long dark road to altzheimers. Starting to have large gaps in my mind, mid sentence. Sang Rio and Keita their usual good night Leonard Cohen songs, which I have been singing since Rio was born, and went blank twice on the lyrics. Brad shouted at Frannette for remembering mothers day when he had forgotten. She consistently shows him up. We watched Slumdog Millionaire in a heap on the Lamu bed. Was very cosy. Had hippos mating in the lagoon front of our tent at 1am. 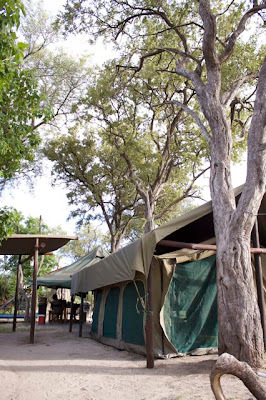 At breakfast this morning it turns out that the whole camp had been woken by them and everyone, once they had got over the initial shock of thinking there were lions tearing each other apart, had lay awake sniggering at the very odd noises emanating from the creatures. They make a gutteral roaring and bellowing that progresses into squeaks, pops and gurgles. They then fling themselves around in the water to create a great splashing. This went on for about an hour after which they settled down to a low rumbling, engine idling sound which was actually very soothing and comforting. Somehow the kids managed to sleep through the cacophony. Lovely evening. Keita has discovered her fanny. For the past few days I have frequently found her peering intently at it, legs akimbo, with a quizzical look on her face. She points it out with great glee saying “look mommy” and “what is it?” I told her it is her fanny and she burst into uproarious laughter. Clearly she finds it amusing. Brad built Ozzy a great little play / training area with perches and flat areas to stand. It is lovely and he seems to like it. Ozzy is starting to walk around on his own which is so cute. He stomps around like a hunched old man. I am thinking that maybe he can be a free-range owl and just come home for food. This morning we found him at the base of the large green drum where his dish had been put so he could get warm. 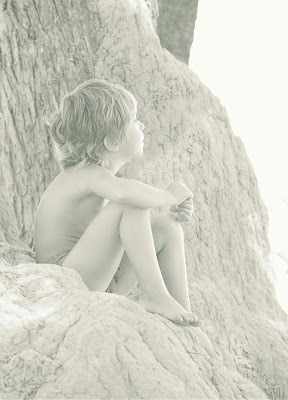 He must have jumped out, but this could be the first inkling of an urge to fly – unless he is just stupid or suicidal, which may be why he left the nest in the first place when he was a few days old and Joyce found him in a heap at the bottom. Once again we went out last night to do a moon shot. 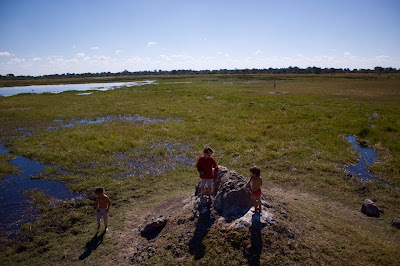 Did the ususal walk to the swimming hole and the to Gnu Poo pan with Humphry and Frannette. Managed to tear a hole in my foot so eventually had to cut the walk short. Once again the kids went wild. Had a warm fuzzy moment in the vehicle on the drive back with Keita and Rio both snuggled in my lap. Didn’t last very long because Rio got a bit uncomfortable being the ‘cheese’ in the sandwich, but was lovely while it did. Usual sort of Saturday. Full moon, so we wanted to film a particular moon-rising shot for the feature film. Karen, Humphry, Frannette, me and the kids walked (alternating drivers) to the swimming hole. 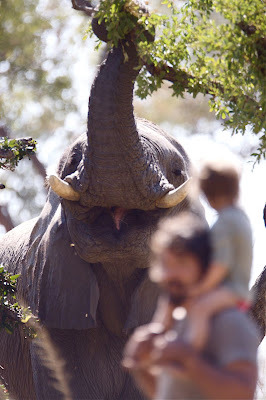 When we got there we found a breeding herd of elephants scattered 360 degrees around. We decided to swim nevertheless, with an elephant lookout posted at all times. I was first lookout while the others swam, then I had my turn. Once we were all cool and wet we walked (again alternating drivers) to Gnu Poo pan for the sunset shot. En route a game drive truck snuck up on us. Frannette completely missed the interaction and only saw up pointing excitedly ahead. She thought we were gesticulating because there was a lion and flew into the car at a speed that I didn’t think she was capable of. Rio and Edward spend their days determinedly demolishing the anthill. I barely see Rio these days as he is very busy playing. We have a new system now whereby Frannette gets one day a week off (Wednesdays) during which I will take charge of the kids and the cooking. I think, theoretically, it is going to be good for me to have a day a week of solid ‘kid time’. It is all too easy to wander into the office tent and get caught up in some work related thing every 10 minutes. This past Wednesday Brad, Frannette and Jason spent the day with the lions who were still following the buffalos in the mopane. The day ended on a horrible note when the 2 old females and the young male who had taken up residence at Magxwagana chased our 5 females away and left the cubs all alone and very vulnerable in the mopane. We were all very worried about them the whole night. They were all back together again the next morning. We have our new tent up (as of about 10 days ago) and the design is such that the entire back and front open up to be only mesh. We sleep with our bead at the open mesh side, so it is much like sleeping outside and with the moon so full we are literally bathed in moonlight.